Country Club at ages 14 & 15. Class B Team State Champions – 1975. Big Ten Individual Champion (Medalist) – 1977, 1978. Three Big Ten Team Championships. MSU’s First Sportswoman of the Year. Inducted into the MSU Athletics Hall of Fame – 2001. Inducted into the Women’s Collegiate Golf Hall of Fame – 1988. Association (LPGA) Tour for eleven years. Highest individual finish – 4th (several times). Finished 37th on the money list in 1990. Low career score – 66 (six times). 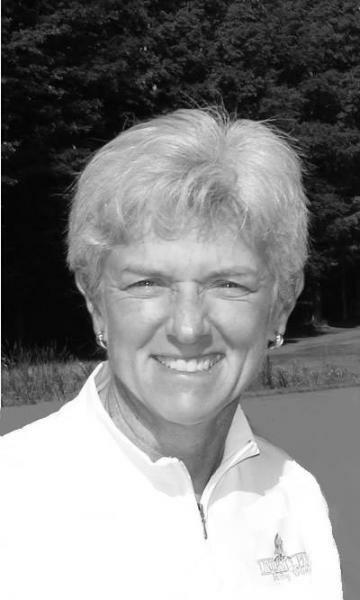 Teaching professional and coach in Bradenton, Fla.
Inducted into the Michigan Golf Hall of Fame – 2010.